When you work in the same building every day for years in a row, it can be easy to start ignoring your surroundings. Next time to go to work, though, try to remember to look around. Specifically, when you come up to your building, what do you see? Over time, buildings can collect dirt, dust, mould, grime, and other stains. Paths, walkways, driveways, and stairways can all suffer the same fate. These stains can make your building look less appealing, and while you might be used to them, that doesn’t mean prospective customers, clients or partners will be. At Graffiti Wipeout, we can give you the gift of a cleaner, brighter building—one that appropriately reflects the brand image you want to convey. 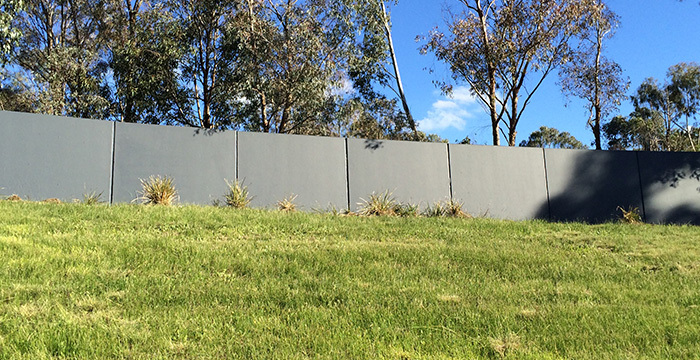 With our high pressure washing in Melbourne, we can rid your building (and the surrounding area) of unsightly stains. A well-maintained building will make it easier for you to make a positive first impression on your visitors. Engaging in pressure cleaning in Melbourne isn’t an admission that you’ve let your building lapse into neglect. On the contrary, building stains are things that just tend to happen over time. Whether your building façade includes concrete walls, wooden siding, brickwork, or vinyl siding, it isn’t stainproof. On the contrary, dirt and dust kicked up by construction or passing vehicles can get into the air and stick to your building. Exhaust from cars, trucks and nearby structures can lead to building stains as well. As for mould and grime, moisture can get into the cracks and pores of your wall when it rains. The bottom line is that you don’t have much control over whether your building attracts dirt, debris or other stains. Stains are going to happen whether you like it or not. What you do have control over is how long you let those stains linger. 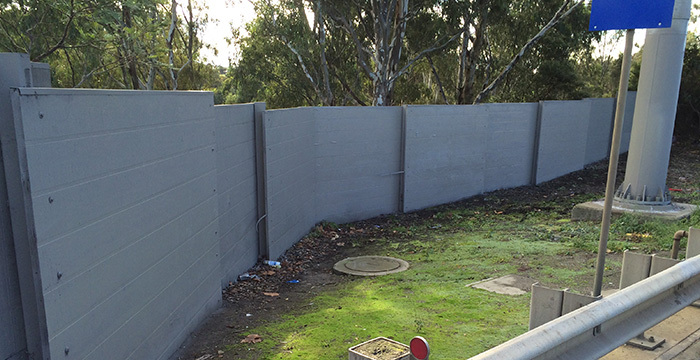 With the help our Graffiti Wipeout and our pressure cleaning in Melbourne, you needn’t wait long. No stain is a match with our high pressure cleaning services in Melbourne. We can blast away dirt, grease, mould, grime, mud, dust, and other types of stubborn dirt off the surfaces of your walls. Over time, these stains don’t just make your building look less attractive to visitors. On the contrary, they can also be abrasive to the surface of your walls, leading to erosion and wear and tear. Investing in regular high pressure washing in Melbourne stops these abrasive effects in their tracks, extending the life of your building. At Graffiti Wipeout, our pressure cleaning isn’t just for building walls, either. On the contrary, we’ve used the same methods to remove stains from other surfaces as well—including streets, bridges, pipes and even vehicles. Additionally, as our name implies, we are adept at removing graffiti and unwanted paint stains from building walls. 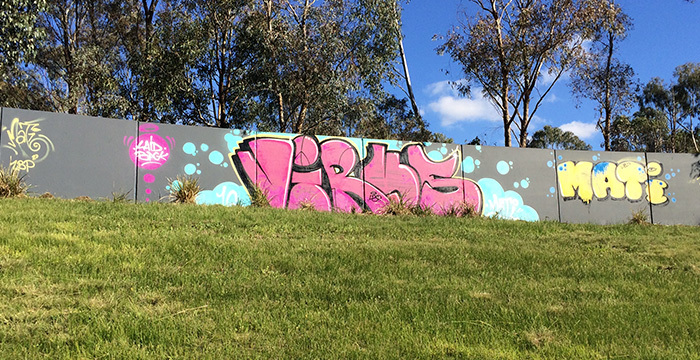 Graffiti is more than just an eyesore: the Victoria Department of Justice has found that if a neighbourhood suffers from graffiti for an extended period of time, then this can lead its residents to believe that the community is in social decline. This suggests that the police have lost control of the area and that the area is falling into disarray. This belief can lead to a host of problems for the local community and the people that live there. The prompt resolution of dirt & graffiti issues is an important step in ensuring that communities are clean, safe and prosperous. A build-up of moss, algae or dirt can pose serious safety issues (eg danger of slipping or desease control issues) regulated by OHS legislation. Many owners corporations and property managers request our team to pressure clean pavement and other surfaces in order to minimise public liability. 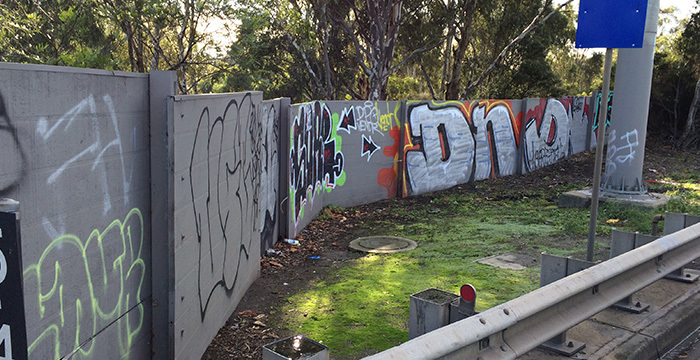 We have 26 years of experience and this means that we have in-depth knowledge about the materials and methods that are required to effectively tackle graffiti. 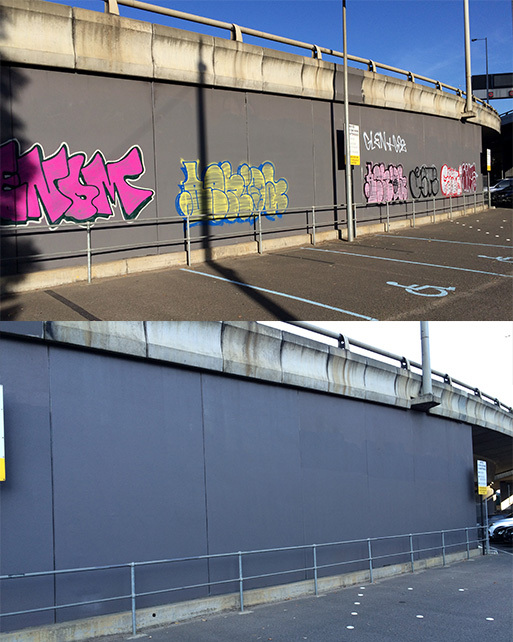 In this time we have worked on a diverse range of projects all across the Melbourne area so we understand how to get the job done well the first time round, and how to make future instances of graffiti less disruptive. Our work is performed with the exclusive use of the best tools and materials. This is an important way of protecting and preserving important buildings and protecting the environment. When it comes to pressure washing Melbourne has a range of buildings that regularly benefit from our services and the proprietors of those buildings are always surprised at the magnificent results that we can achieve for them. Graffiti Wipeout also has distribution rights to an innovative, all-natural material that offers protection against graffiti and makes it easier and less expensive to remove future graffiti attacks. We have used this material to coat a range of famous landmarks throughout Australia such as the State Library of Victoria, the West Gate Bridge, Parliament House of Vic & parliament House of WA, St Paul’s Cathedral, Shrine of Remembrance, Flinders Street Station, Sydney Town Hall, Sydney Harbour Bridge, Melbourne G P O and many more. Above all else the proven results that we have achieved give our customers confidence in our ability to take care of their needs. There is a wide range of properties in our portfolio and each project was executed immaculately to return the landmark to its original state. When graffiti is applied, we know that a quick turnaround is important. If the graffiti remains for too long it can inspire copycats to apply more graffiti and also pose a security risk as people may consider the building to be poorly monitored. We know that a quick resolution is very important which is why we make it a priority to respond to your needs as quickly as possible. As part of our service, we also offer rapid responses to priority cases. When it comes to high pressure cleaning Melbourne residents know to trust the best, which is why they trust us. If you require our services or would like to discuss preparedness for graffiti, be sure to visit our website and contact us today.